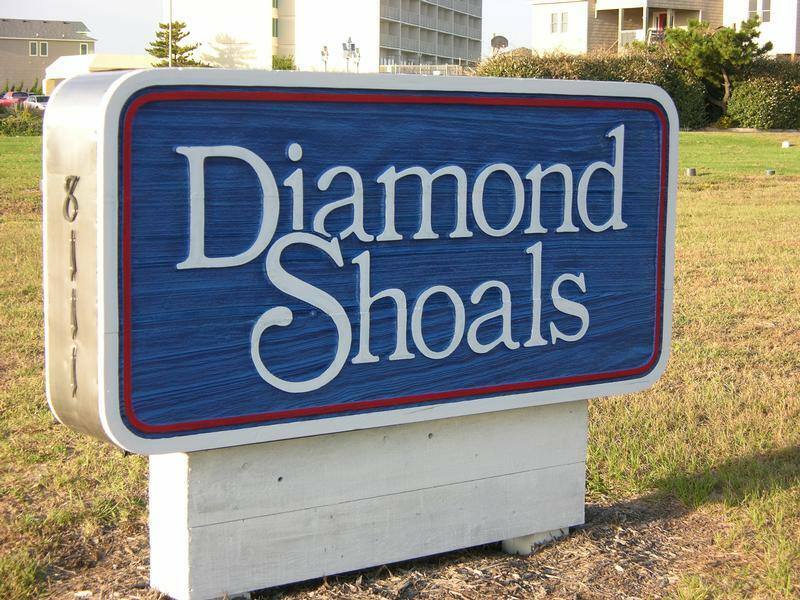 Diamond Shoals condominiums are located in south Nags Head around milepost 17 . These ocea nfront condos include amenities such as an elevator, swimming pool, deck and a walkway to the beach. Located in close proximity to great restaurants, shopping and family attractions and only a short drive from historic Manteo, you are sure to find something fun for you and your family.